Request free technical and painting questions from our technical experts. Need help with your paint system or how to apply it? 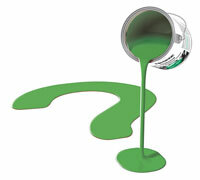 Get free advice - send your paint, coating or decorating question to our technical experts. Where possible include photos of your project with your query as they will help our experts provide the best advice for you. If you would prefer assistance over the phone, you can call, in New Zealand: 0800 RESENE (737 363) or in Australia: 1800 738 383, or visit your local Resene ColorShop. To ask our colour experts for advice click here. To view a selection of technical expert questions and answers, click here. A basic guide to field paint testing, view here. Please note that all fields marked in red must be filled in in order to send this form. Thank you. If you are having trouble uploading images, please email to advice@resene.co.nz with the subject header Ask a Technical Expert and we can match it up with your query.